In our ongoing quest to find the perfect jeans, we say: the more knowledge, the better. Our denim guide is your one-stop shop for knowing the latest styles & trends, but what about the nitty-gritty technical stuff? Like...inseam! What does it even mean? And, how should they fit on you? 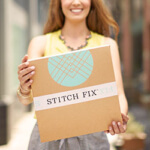 Keep reading to learn more about denim inseams! 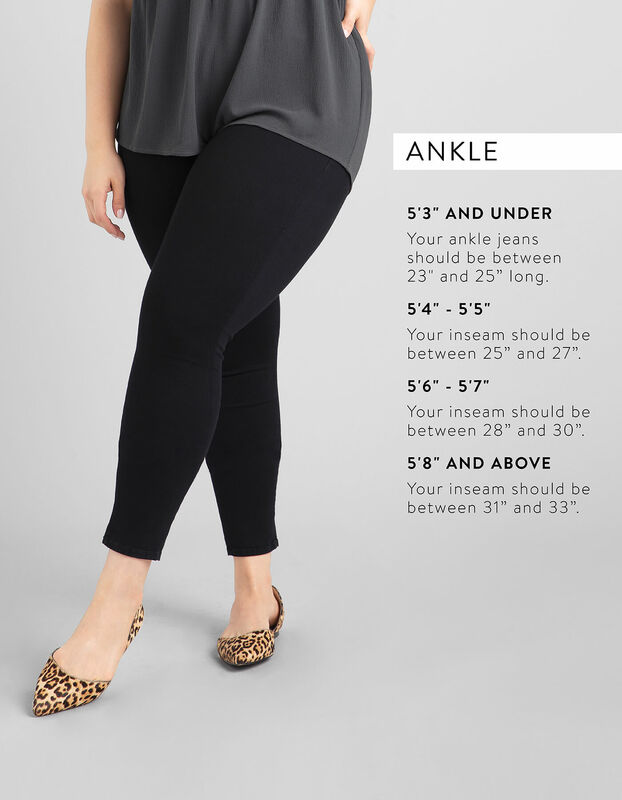 So, what does inseam mean? Inseam is the distance from the base of your zipper (or crotch) to the bottom of your leg opening. 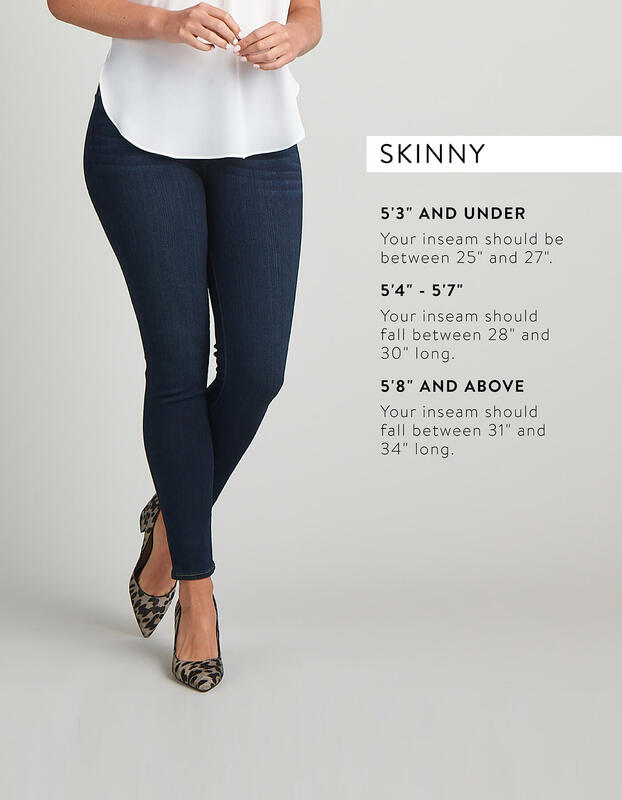 Knowing your inseam is important to understanding how you like your jeans to fit! Do you love your skinny jeans to be ankle length? Are you feeling flares that hit the floor? Here’s your simple guide to understanding denim inseams. 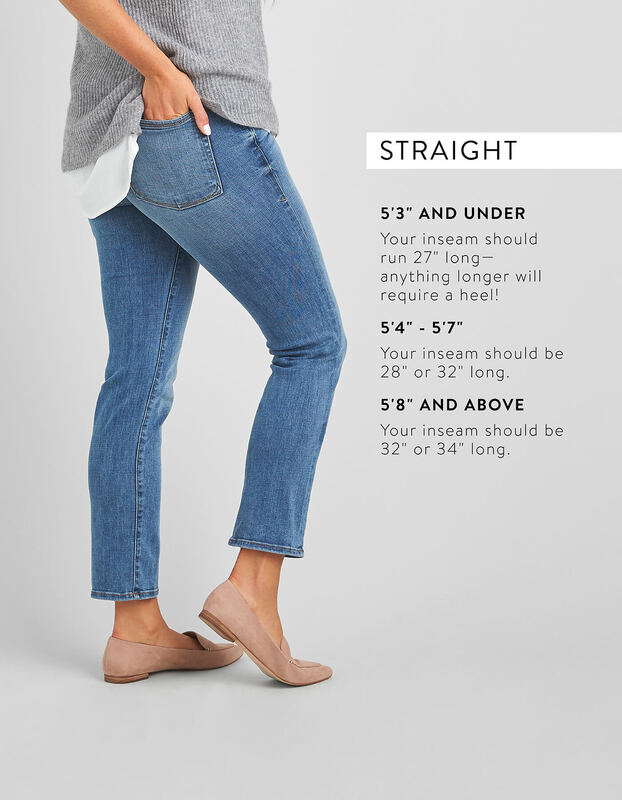 See below for a quick summary of inseam length based on jean type! Skinny jeans can be worn one of two ways. If you prefer them to hit at the ankle, ask your Stylist for a shorter inseam. If you like them to bunch at the ankle, ask that they be a touch longer in relation to your height. Either way, you can pair your skinny jeans with booties for an effortless, casual look. Straight jeans are known for their universal fit & versatility—they’re the more approachable cousin to a skinny silhouette! A classic straight leg breaks right at your ankle—anything too long might cause extra bulk around the ankle which means a heel is required! Ready to show a little leg? A capri jean usually comes in a skinny silhouette and shows off much more than just your ankle (we’ll get to the ankle jean next). 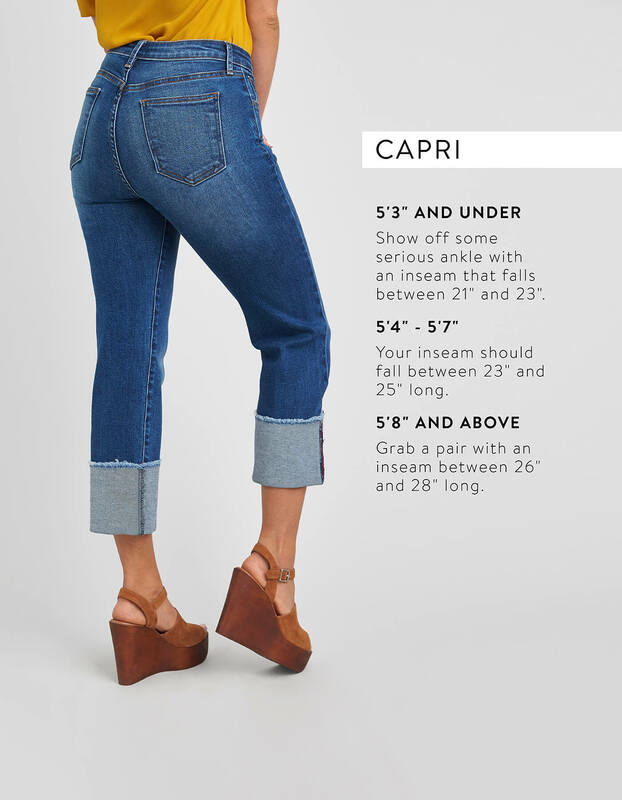 Capri jeans usually land on your leg 3-4 inches above your ankle bone. We love pairing our capri jeans with summer sandals or pumps. Like to show a little leg, but not too much? 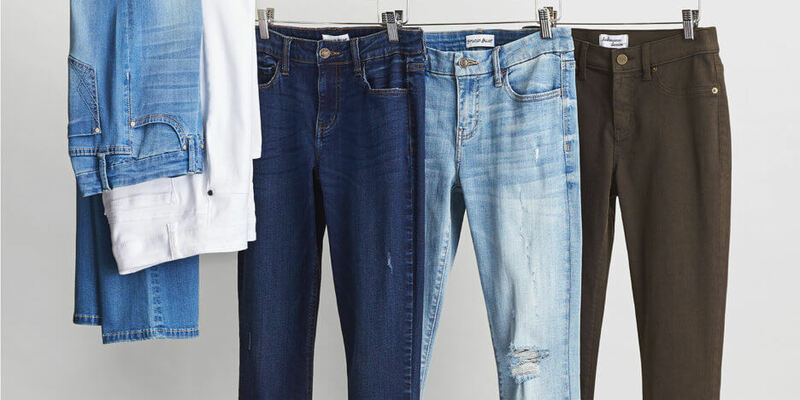 Ankle jeans are our favorite silhouettes this year—they’re casual enough to wear on the weekend, but transition well for work if you really feel like dressing down (but not too down) on casual Friday. 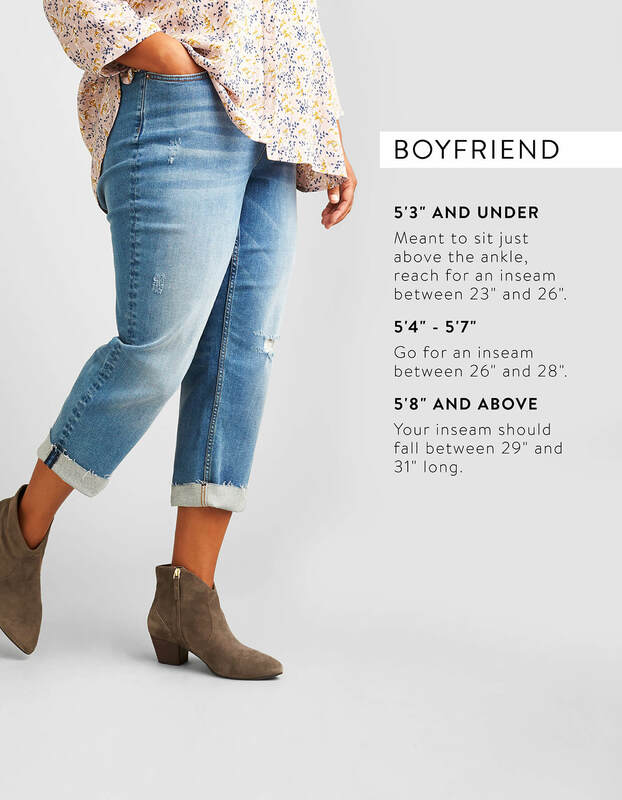 Ankle jeans land about 1-3 inches above your ankle, making them the perfect pair when it comes to wearing, you guessed it, ankle booties. Feel like getting loose with your denim? We love boyfriend jeans for their roomier fit and feel. Boyfriend jeans are meant to be cuffed for that extra dose of effortlessness, so expect the inseam to be a little on the shorter side than a classic straight silhouette. Dress these up with a pair of block heels or keep it casual with fashion sneakers, all while showing off some ankle. 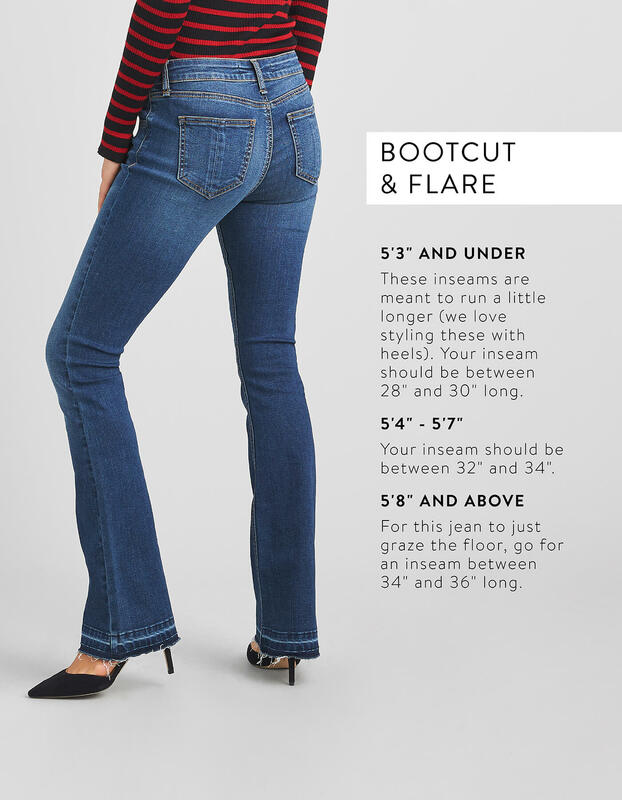 Flare and bootcut jeans have the most pronounced leg opening of them all, so they require extra length to reduce that awkward moment when the widest part of your jean hits your ankle. These, more often than not, require a heel and should fall to the floor regardless of your height. We love a good flare or bootcut for their body slimming effect & flattering fit. Ready for a new pair of jeans? Schedule a Fix for a new pair!